It is wedding week here on Snickie. 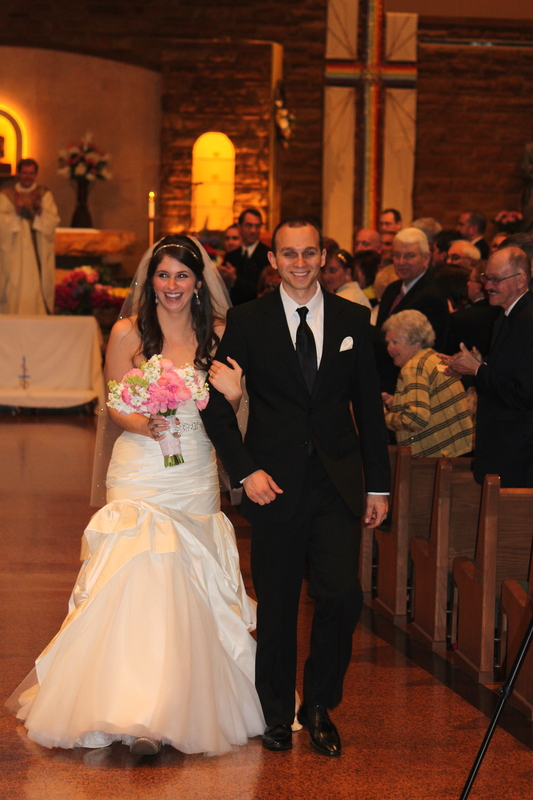 This is a great shot of Em and Eryk exiting the church. Ben was the photog here, as he had a great seat in the back pew after arriving minutes before the bride walked down the aisle 😉 Note: you must must must arrive at a church fifteen minutes before a wedding or you will be walking down the aisle with the bride. This is embarrassing. I know this from personal experience. 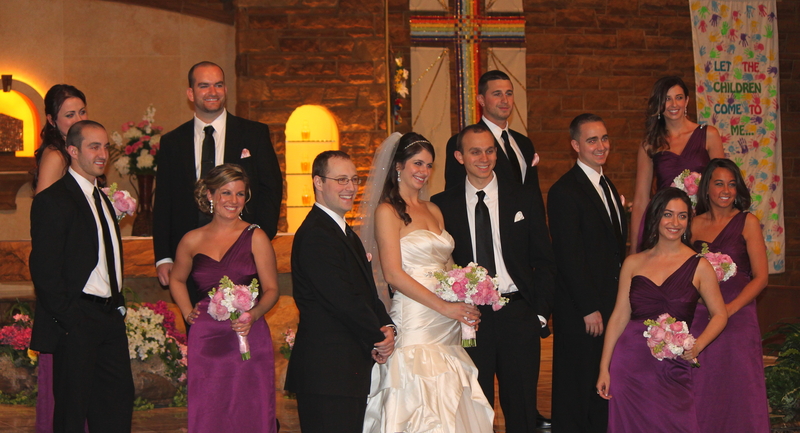 Emily and Eryk got married at St Paul and John in Wexford and then moved the party to the Omni William Penn downtown. This was a grand wedding – 350+ people, a bar that looked like a Vegas nightclub, a live band, the works. The ballroom at the Omni William Penn is so majestic. A balcony circles the room and hints of dark magenta, gold, and white envelop the space. The night was magical. The dance floor was packed for the duration of the reception. So I am planning on changing the set up of Snickie a little. As you may have noticed, I haven’t been feeling inspired to post long recaps of restaurant visits or life events recently. However, my interest in photography and documenting my life through photos has continued to grow and evolve. So for the time being, my plan is to post a few photos per week to Snickie with brief descriptions about the moment captured by the shot. It is very likely that many of these shots will still involve food and cooking, so never fear my foodie friends. 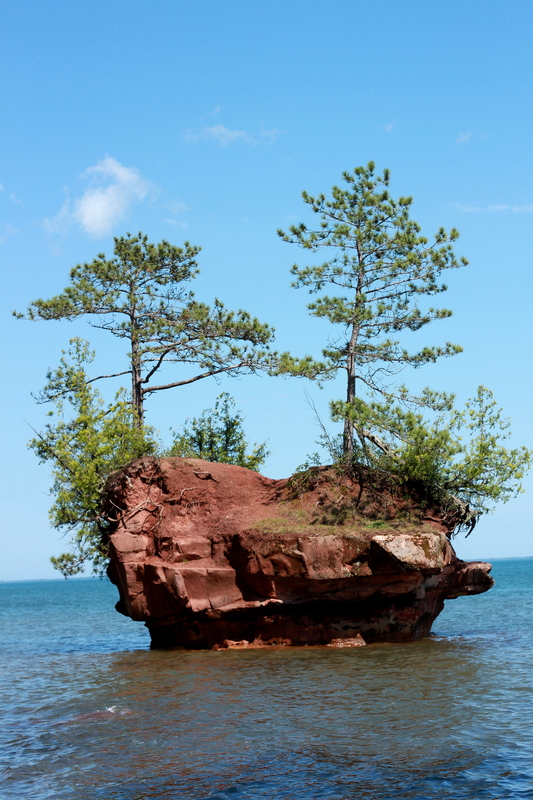 On that note, the above photo is of a small island off the coast of Lake Superior, planted serendipitously in front of my boyfriend’s family’s lake house in Washburn, WI. 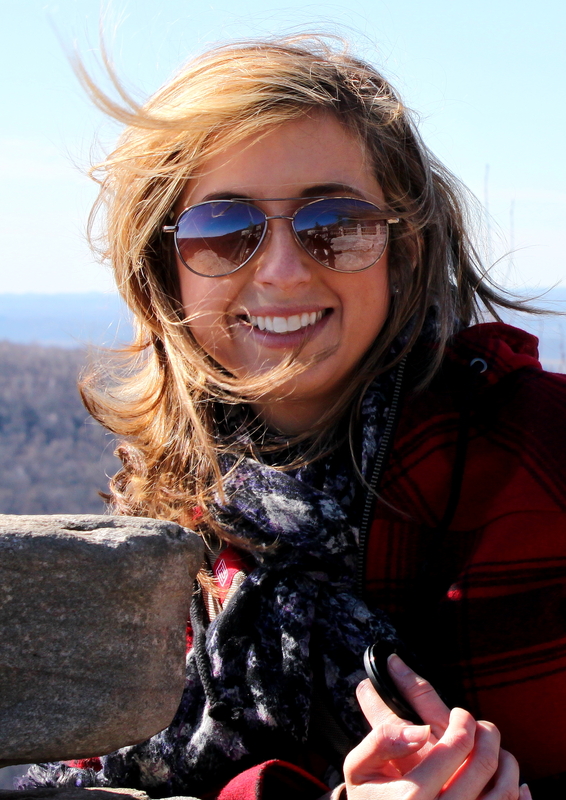 I had the pleasure of visiting Washburn for the first time this summer. I had seen this very island in many family photos and even in a large framed shot in Ben’s apartment. Seeing it in person made me smile, made me feel closer to Ben, made me think about the special places my own family cherishes. 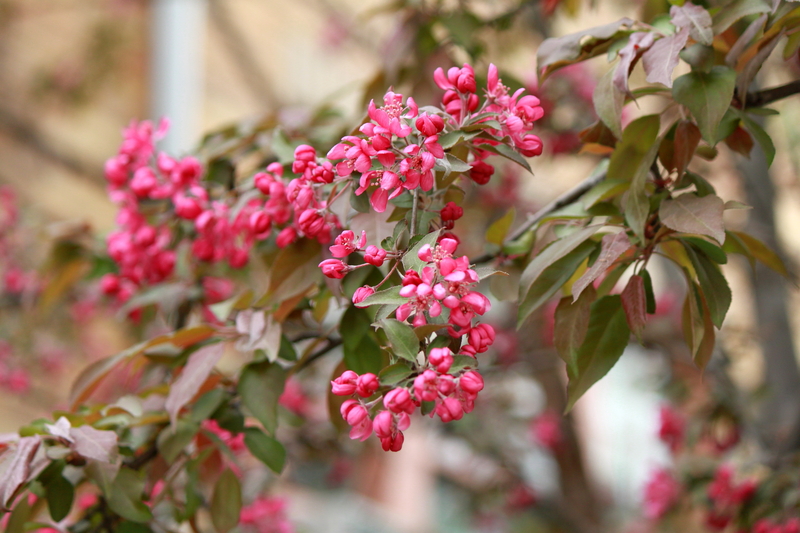 I loved my time in Washburn – I got to see the little town through the eyes of Ben as a child and as an adult. And I got to eat fried cheese curds. Can’t beat that. As I mentioned in my last post, I have had the good fortune of vacationing in the Turks and Caicos Islands on a few different occasions. In the past I have visited close to the Christmas holiday with my family (see this post). This time, Ben and I planned a quick post tax season getaway. We left for Turks on Saturday April 21st and returned to Pittsburgh on April 25th. We didn’t organize too much ahead of time. We rented a car through Grace Bay Car Rental and made a reservation at Coco Bistro for one night’s dinner. We also made a trip to Trader Joe’s, planning to cram some dried goods and snacks into our bags as grocery prices are high in the islands. Our flight down was super easy, with a quick stop in Charlotte. By the evening of the 21st we were sitting on Grace Bay beach sipping rum punch. We were staying at The Tuscany (c/o Uncle Dame – thank you! 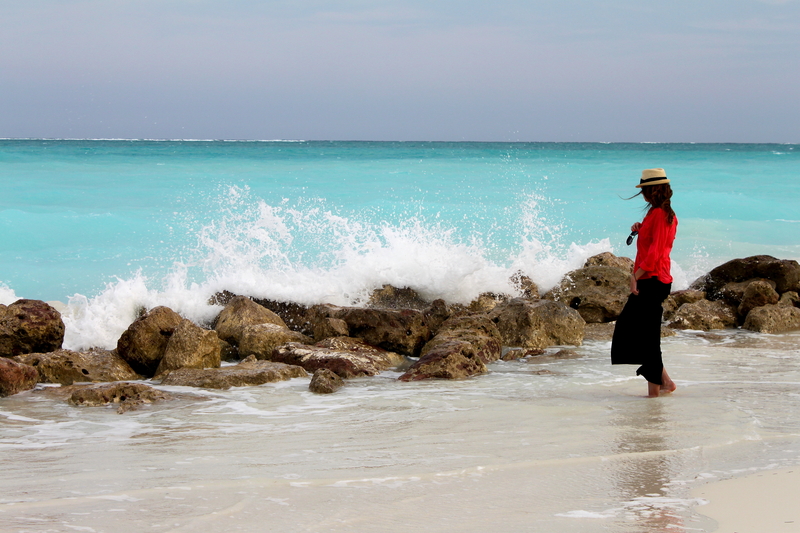 ), on the island of Providenciales. 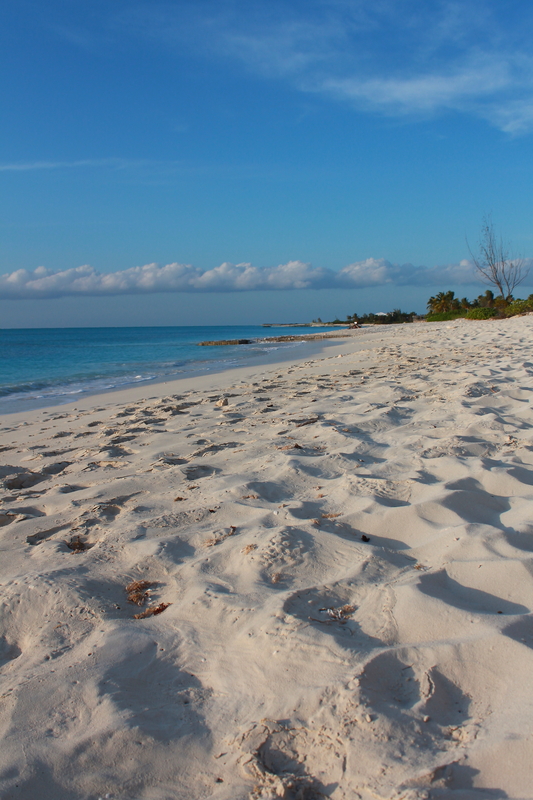 Provo is one of the most populated islands of TCI and contains most of the hotels and resorts. We had fish tacos at the Ocean Club on the first night, watching the sun set over the ocean. Sigh. The rest of our trip was extremely relaxing. Every morning involved a long beach walk. I was usually snapping photos and Ben was usually examining the local wildlife. 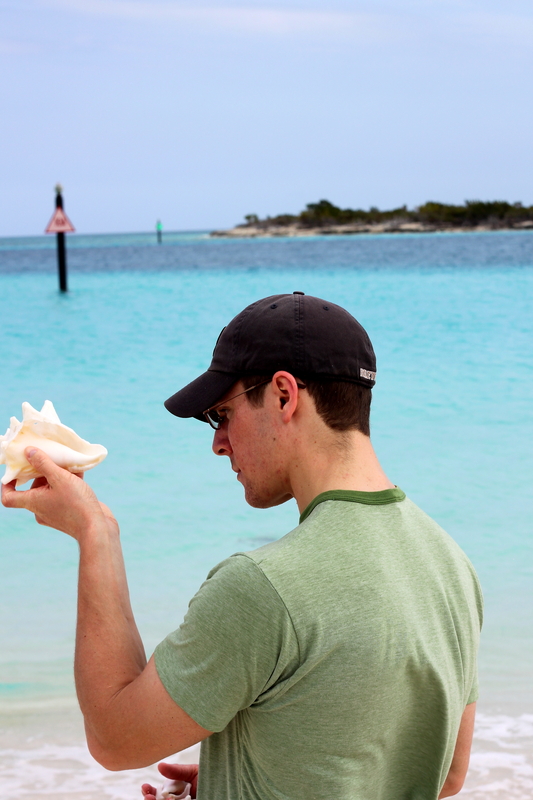 Here is Ben closely examining a conch shell. In TCI, conch is king. Or something like that. I think after this walk we wiki-ed conch to learn even more about it’s conch-ness. 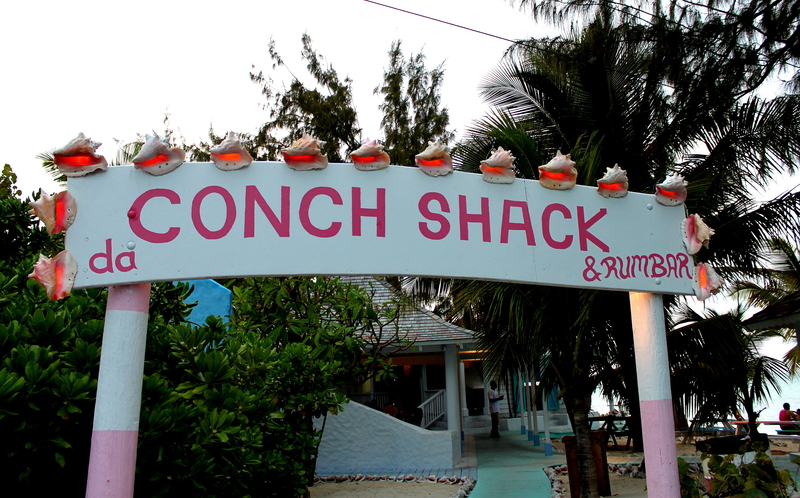 Did you know TCI is home to the only conch farm in the world? They are very proud of this fact. Ben and I actually spontaneously tried to visit the conch farm on one of our exploratory drives around the island but it was closing down for the day. And also looked super sketchy. Maybe next time Conch World. Usually after our walk we would eat breakfast at our place and then lounge on the beach. This is perhaps my favorite beach activity. (Books read on vacation: The Descendants: Dysfunctional but engaging, enjoyed it and have since seen the movie; Fifty Shades of Grey: Whyyyyy did I read this, horrible garbage writing, will not be continuing the trilogy; The Art of Racing in the Rain: Really beautiful and unique, very smartly written). In the afternoons, we would grab a quick lunchtime sandwich, gather up our gear, and head out to explore the island. This picture was taken while driving around Chalk Sound. 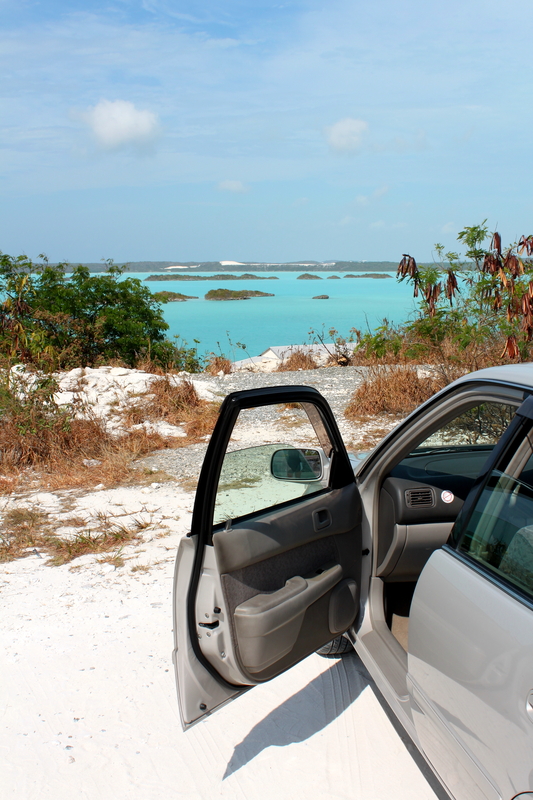 Chalk Sound is located in the Southwest corner of the Provo island and is known for its turquoise waters. Beautiful. We ended up renting a tandem kayak from Las Brisas hotel/restaurant near Sappodilla Bay area of the sound and padelled around for an hour or two. We ran into no other boaters or kayakers on the sound. It was amazingly quiet and calm and relaxing. The day we kayaked, we also hit up Da Conch Shack for dinner. This is a fun and super casual spot right on the beach in the Blue Hills area of Provo. We had fried conch (calamari-like) and conch curry. As some readers may know, my dad has a colorful history with his conch consumption and I hoped that I had not inherited his conch-hatin’ genes/stomach. No major issues to report although I’m not sure conch is something I will be craving anytime soon. A little too chewy for me. On another day, we set out to find Smith’s Reef, supposedly the best ‘walk in’ snorkeling on the island. Smith’s Reef was somewhat near Turtle Cove (see map above). We used Tripadvisor directions and the help of a friendly security guard near a Turtle Cove residential area to navigate to some roadside greenery that apparently marked the spot of the reef. To our (my) relief, there was a pretty well worn path through the brush down to the beach and a few other snorkelers were in the water when we arrived. I have no pictures of this adventure but I saw lots of cool fish and a turtle. The turtle being the most awesome of course. 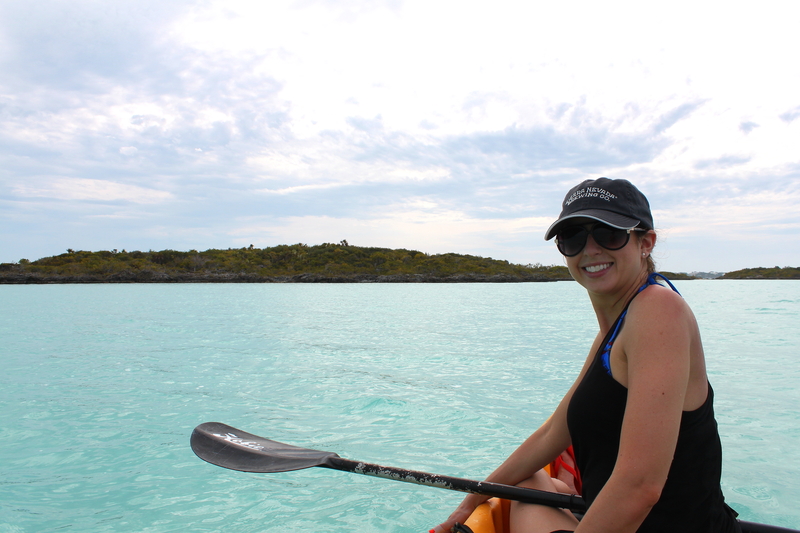 I had previously snorkeled off a boat while in TCI and this experience was a bit different. The waters at Smith’s Reef were not as clear or calm (also could have been the weather) and it can be a little disorienting to be 100 yards off shore swimming around by yourself. Also the reef was much closer to the surface than it had been while snorkeling from the boat. I did have one minor freakout as the coral got closer and closer and I couldn’t figure out what direction to swim in or where Ben was. He claims he was behind me during this ordeal and just saw a ton of bubbles and flailing limbs in my general vicinity. Fortunately, I lived to tell the tale and did not ram myself into any coral. 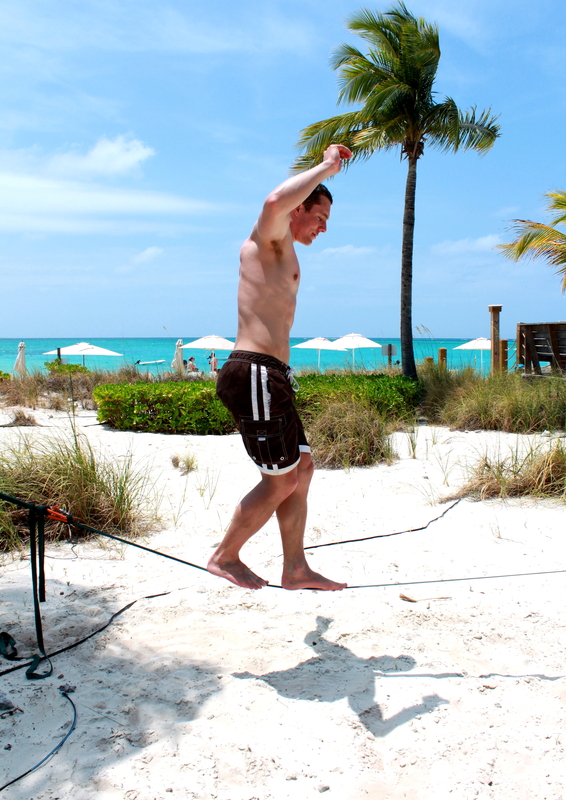 On our final afternoon in Turks, Ben provided entertainment for Grace Bay beach by setting up his slackline. I provided encouragement and a cold Turks Head lager to this crazy/nimble man. I still can only walk on this thing by having Ben walk beside me on the ground and allow me to claw at his shoulder/hair for balance. 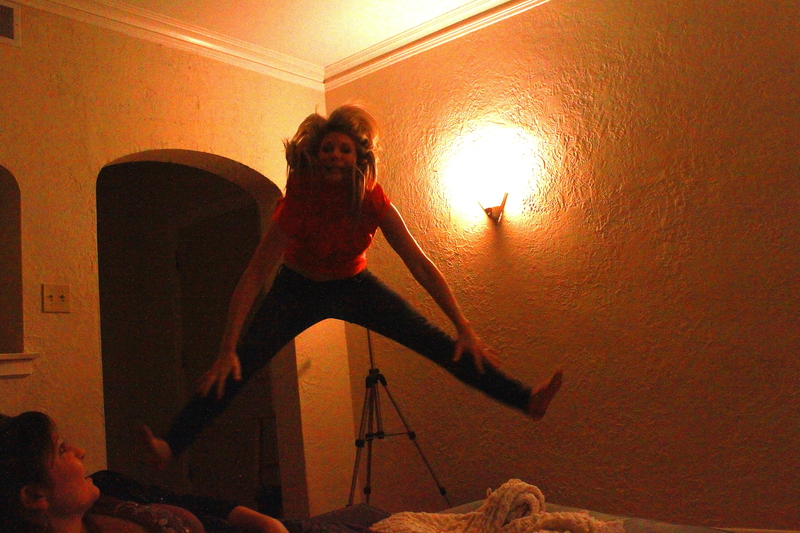 After slacklining commenced, it was time for our final night out in Turks. We had casual dinners or ate in most of the other evenings so decided to go to Coco Bistro on our last night. I devoured a lobster tail and Ben crushed some mahi mahi. We then joined forces and demolished fried bananas with ice cream for dessert. So good. I could eat lobster and fried bananas every day for dinner and be a very happy lady. April has been busy. And fun. And lovely. -Myself, Ben, his parents, and my parents went to dinner at Root 174. I really like this place. We had fried brussel sprouts and mussels and artichokes and housemade kimchi and pork and sauerkraut and apple and green tomato cobbler. Yes, apple and green tomato cobbler. I was rolled home shortly thereafter. Although we BYOed when we went, I am hearing via Twitter that Root174 now has a liquor license and is also serving brunch. Fun stuff. 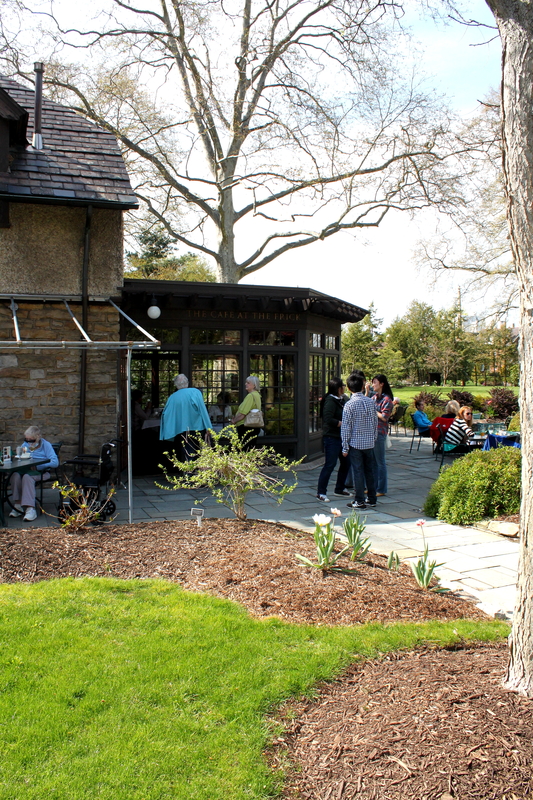 -With Ben’s parents in town, we also made a visit to Cafe at the Frick. We sat outside on the unseasonably warm spring day and the setting was pretty much perfection. I ordered an iced tea and the mushroom flatbread and thoroughluy enjoyed all of it. I have now also developed a slight ice tea obsession. Service was great. I can’t believe I have never been here, particularly considering I live about a half of a mile away. 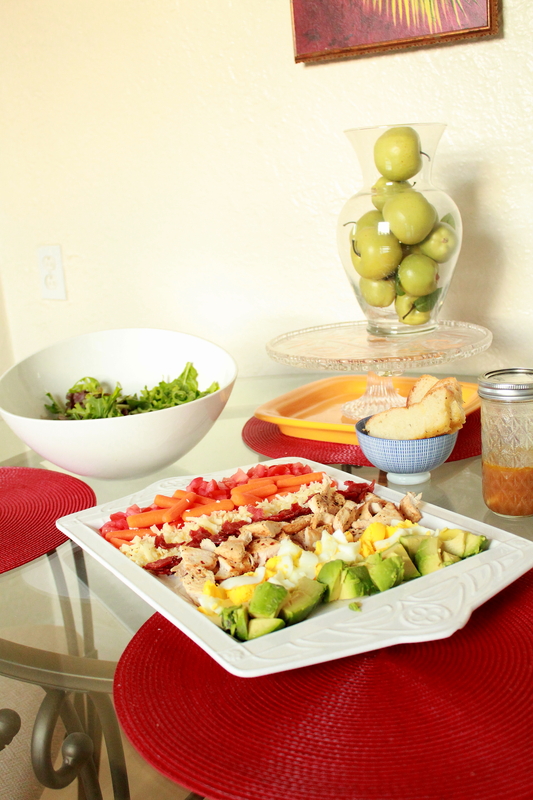 -One random night, I made a pretty Cobb salad. Or my loose interpretation of a Cobb salad. Cooking has been low on the priority list recently. 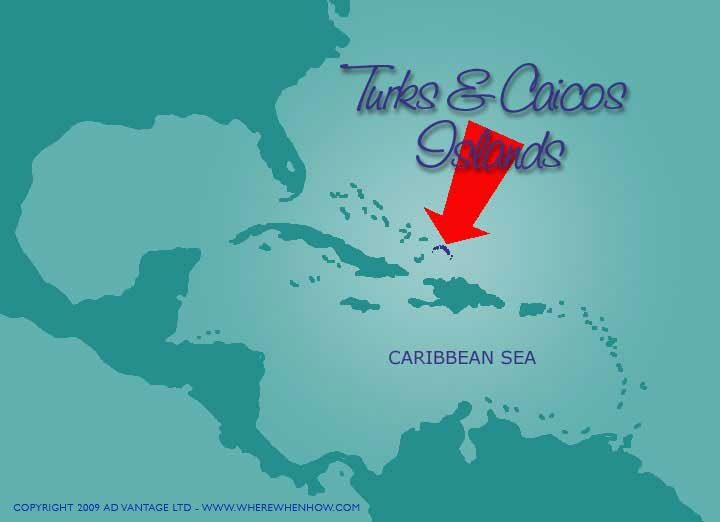 -I went vacationing in the Turks and Caicos islands. I’ve now had the absolutely insane luck to have vacationed here multiple times and I still think its the most beautifully perfect beach I have ever been to. 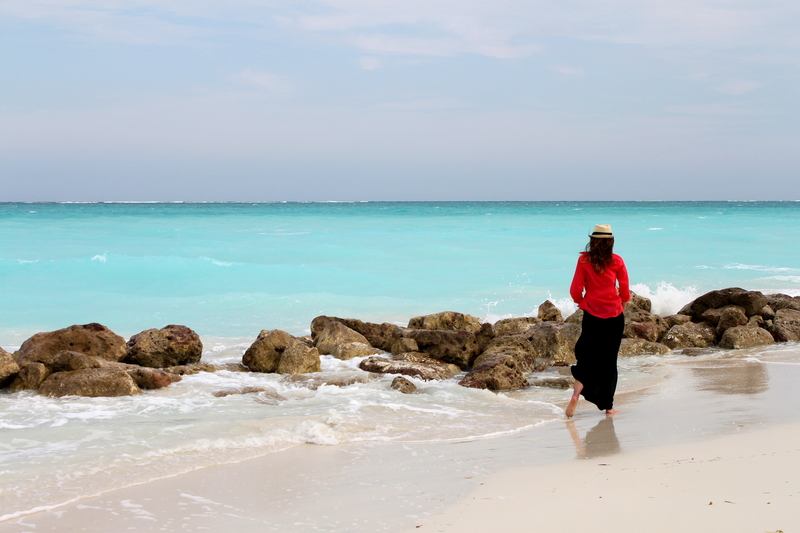 We stayed at the Tuscany on Grace Bay beach (c/o of the generosity of my uncle – thank youuuuu!) and enjoyed days filled with reading, snorkeling, kayaking, eating, and taking naps. The good life. -I attended a most amazing family wedding at the Omni William Penn. My little cousin Emily was married to her high school sweetheart Eryk and I had the pleasure of being in her bridal party. The wedding weekend was a dream and filled with love and family and lots of dancing. I hope to blog about this one in more detail as it was just incredible! And that was my April. Sweet for certain. So I finally got myself together and recently took a half day introduction to photography class. 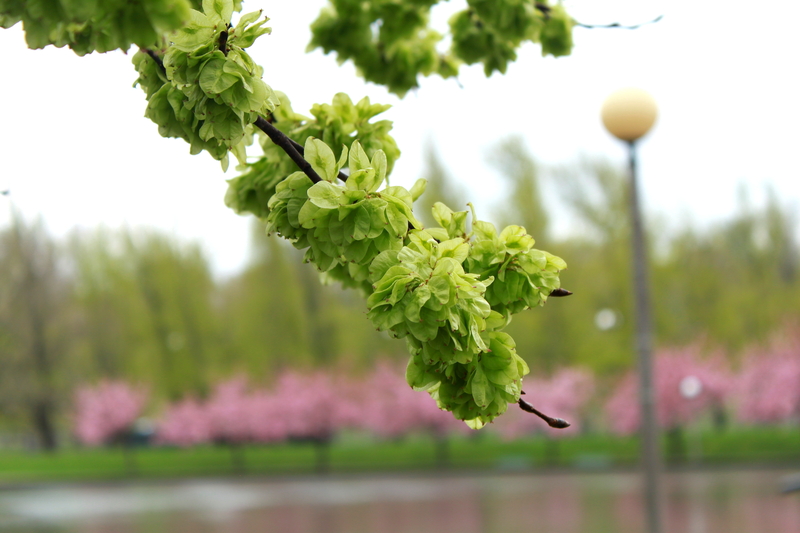 I have had my DSLR (Canon T1i) for over a year but really did not know how to properly use it. I had bought a few books and read through a few tutorials but never put the time into committing to memory the basics of photography. I would often scramble through many of the preset modes to try and get correct lighting on the fly – pretty goofy and ineffective. I actually took a photography class in high school via the Pittsburgh Filmmakers and really enjoyed learning about the art. 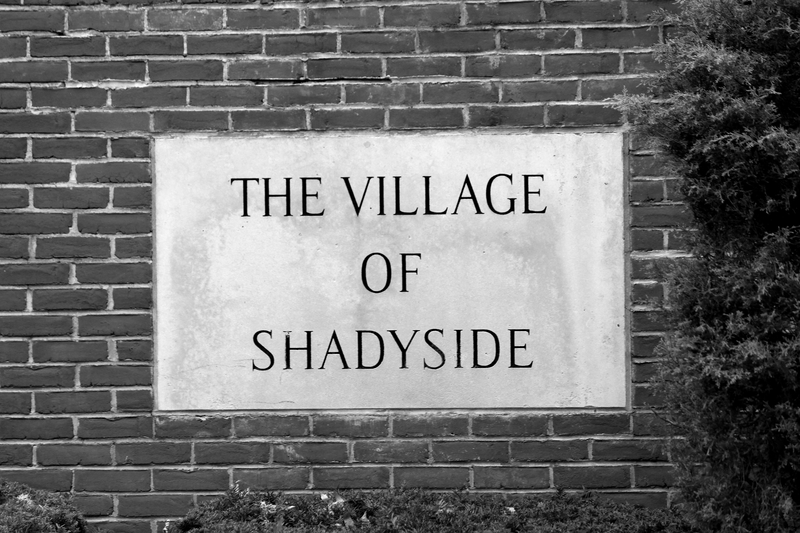 I developed my film and worked in the dark room there (all black and white stuff) and even helped start up a (very) short lived photography club at my high school. Apparently though, all the basic photography knowledge learned during that experience escaped me over the last decade (yes, decade). 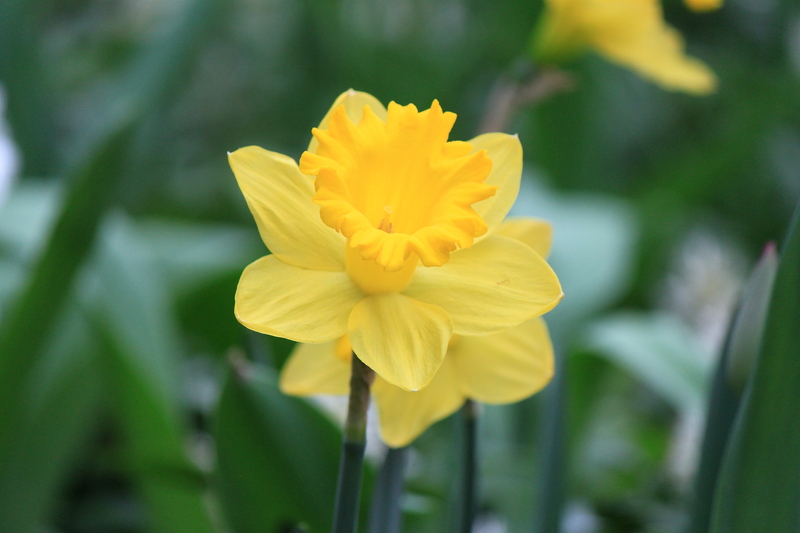 The class focused mainly on using the manual mode of your camera. It was very basic but forced me to brush up my knowledge on film speed, aperture, and shutter speed. It also convinced me to start shooting all manual, all the time. I also feel better equipped to shoot in lower lighting situations after learning how to manipulate the basic manual settings. I have been trying to practice my new found knowledge a bit each day since the class and have been messing around with my tripod and longer shutter speeds. I really want to get better at taking photos with alllll the weddings I am attending this summer. I love being able to take some extra shots of the day from different vantage points or during moments when the photographer isn’t there (rehearsal dinner or getting ready). Bird update: Sadly, the second generation bird couple only stayed outside my window for a few days and then moved on, leaving behind their little egg. Natural selection I suppose. There must have been something wrong with it. This spot just isn’t meant to be. Imagine my surprise when I looked up from my computer yesterday morning and saw this character staring back at me. 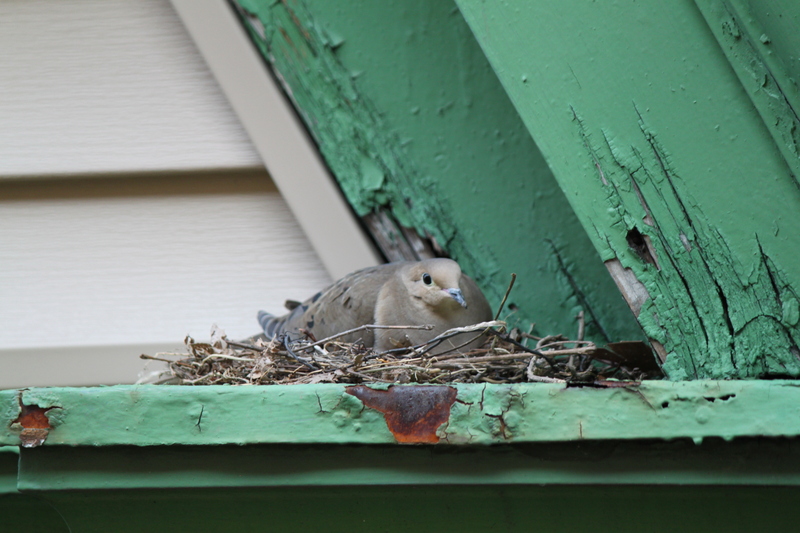 If you have been a long time Snickie reader, you may remember my mourning dove saga from last year, which I posted about extensively. I believe I wrote two posts about it (here and here). For me, that is extensive bird watching coverage. Well, as evidenced above, the birds are back. -Are these the same birds from last year? Ben says I need to study the markings. 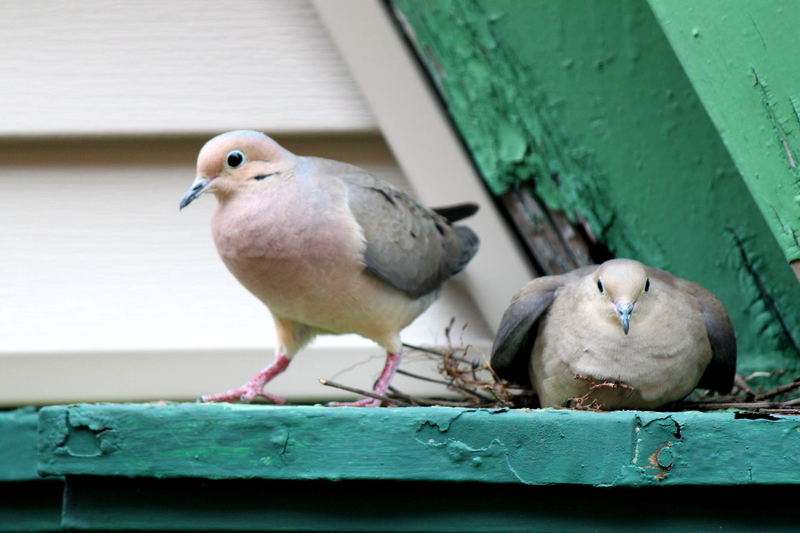 I have not reviewed the dove markings in detail but my gut says no, not the exact same birds. -Someone actually repainted that rusted part of the ledge (see last year’s photos). 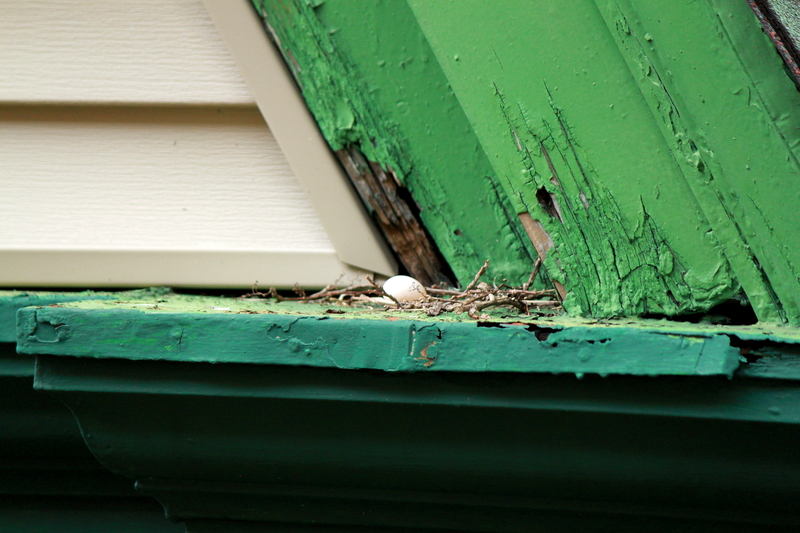 As of this morning I can see some eggs in the nest, so I will be on the lookout for squabs. 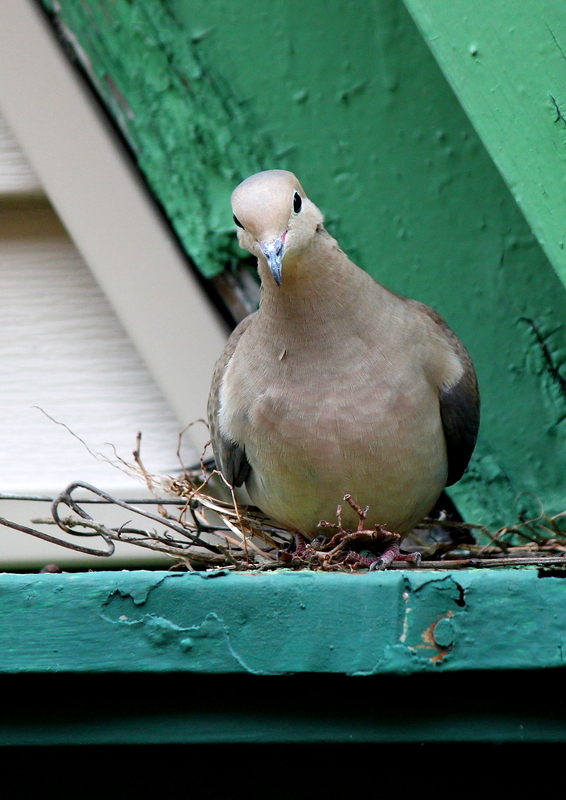 Last year, Melba, Beau, and the nest dissappeared during a particularly strong spring thunderstorm. I don’t think I am officially changing this to a bird watching blog, but you never know. Tax season does strange things to accountants.